Welcome home to this fantastic 3 bedroom, 3.5 bathroom executive town home in Carillon. This residence sits on a beautifully landscaped lot and is located in a private gated community. This centrally located hideaway is just minutes from the bridge to Tampa and has easy access to the Pinellas gulf beaches and downtown St. Petersburg. Step inside and fall in love with this light and bright gem, it features a spacious floor plan, formal dining room, eating space in the kitchen and the master bedroom is nicely appointed with large bathroom, California walk-in closet, fireplace and a private office with French doors. The inside laundry room is upstairs. Quality features of this home include the gourmet kitchen, double oven plus a cook top and granite counter tops. This home is move in ready with 2018 water softener, 2016 upstairs A/C replaced, and brand new washer/dryer. There are beautiful hard wood floors throughout the down stairs, crown molding in almost every room and large living room with fireplace. Step out back and see where this home really shines, there is a screen enclosed porch and an open patio overlooking a pond, a perfect place to use the grill or entertain. 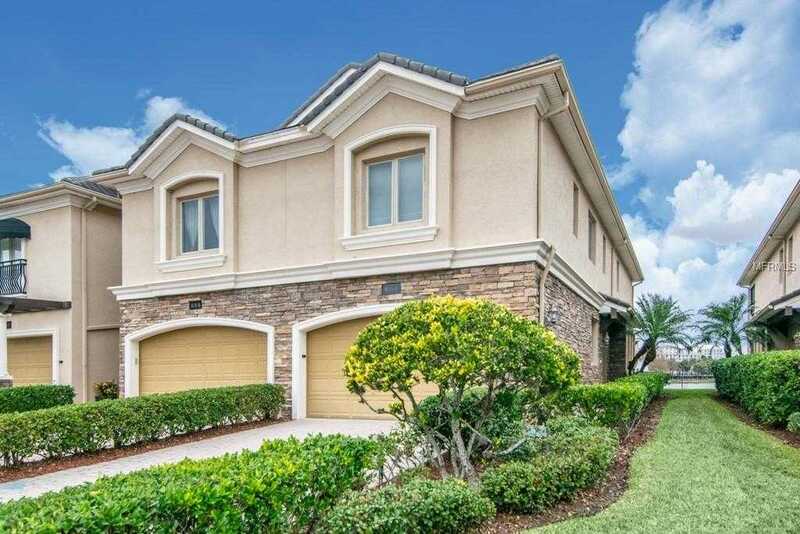 This is truly an exceptional townhome and will not last long, hurry do not miss it! Please, send me more information on this property: MLS# T3152252 – $550,000 – 660 Saxony Blvd, St Petersburg, FL 33716. I would like to schedule a showing appointment for this property: MLS# T3152252 – $550,000 – 660 Saxony Blvd, St Petersburg, FL 33716.